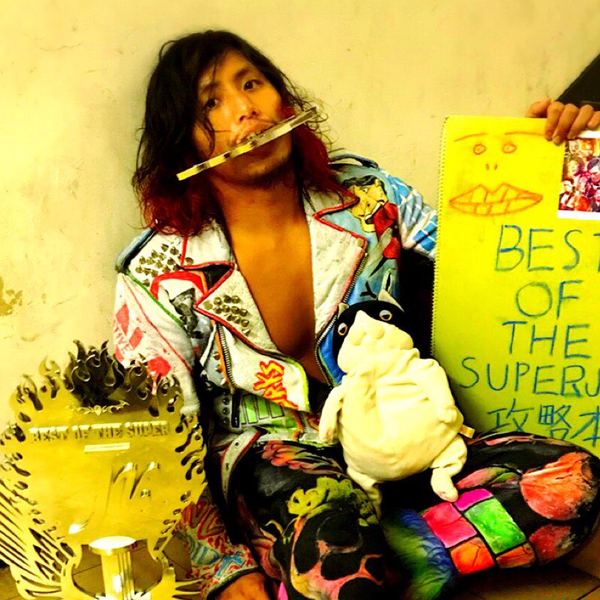 It's time to wrap up the Best of the Super Juniors for 2018, and to do so John is joined this week by returning guest Joe Gagne (@joegagne) of the 5 Star Match Game and many other places and projects. John and Joe first discuss the last two nights of the tournament in detail, including all 8 matches from 6/3 and the outstanding final from 6/4. Once that's out of their way they go competitor-by-competitor for each wrestler in the tournament, reading off their results and giving them a letter grade to sum up their performance. Who did they agree on and who did they see very differently? We also give a best and worst match for each competitor as well as list some other standouts to help you catch up if you've missed any or all of the tournament this year. Finally, we wrap things up with a brief preview of this weekend's big Dominion show! A fun all-Shin Nihon edition of Wrestling Omakase!